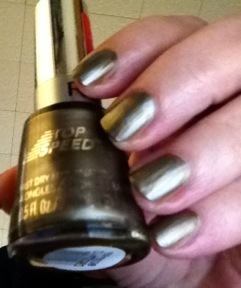 As always, the photos from my iPad do not do justice to these gorgeous, and I do mean gorgeous polishes. New for Fall 2014 from Deborah Lippmann these polishes all have a great new finish called luxe chrome. I have never seen anything like it and I’d bet a nickel neither have you. I love this finish and with a metallic polish yet! 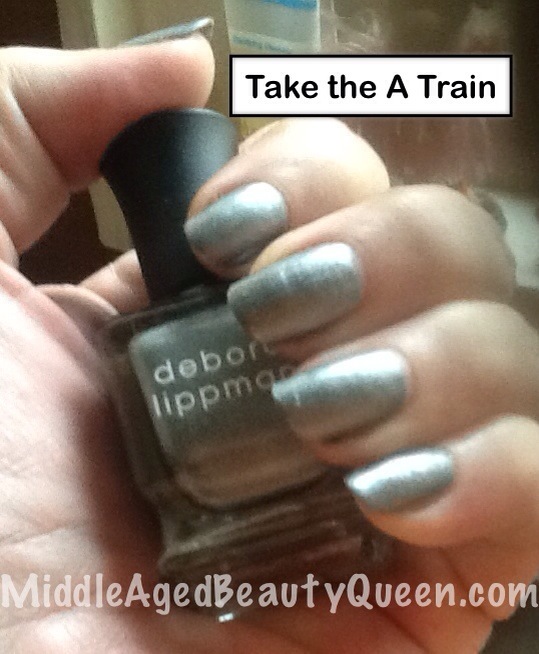 Take the A Train is a gray-ish silver with the luxe chrome finish. Usually with a metallic or silver, gold, or any other metallic color it can be like trying to paint chewing gum onto your nails. 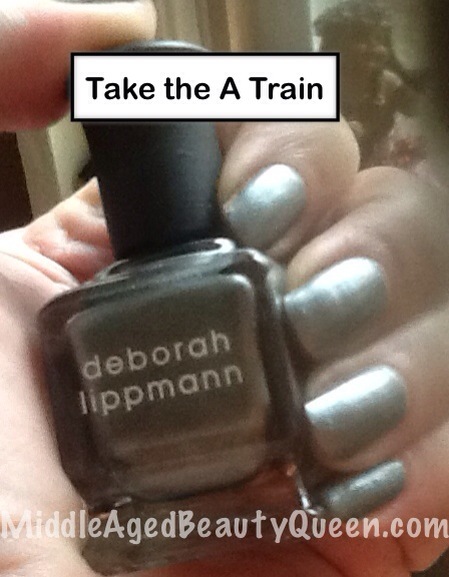 Needless to say, Deborah Lippmann has a winner with this formula. 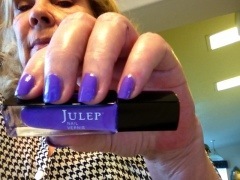 The polish goes on smooth with complete coverage in one coat. I was tempted to leave it at that because of other experiences with the metallic finish and the crappy results from doing a 2nd coat, but I did apply a 2nd coat with no problems. The polish dries fairly fast and looks beautiful. My nails are smooth as glass, I couldn’t be happier. 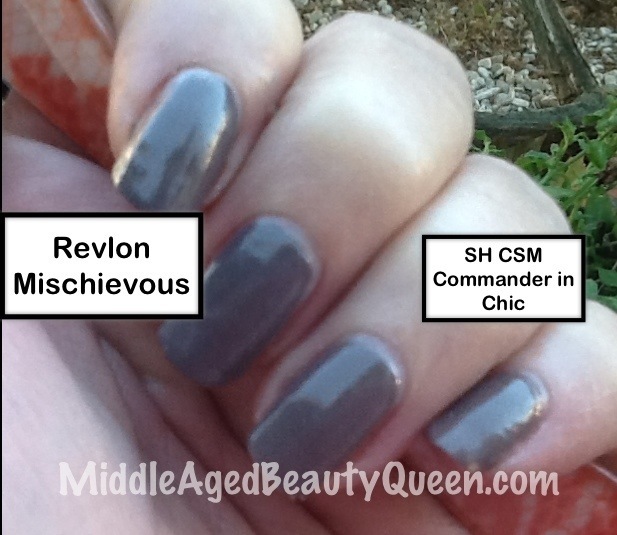 This color is unique as it changes with the light, it’s mostly silver but can be lilac, or a gray-ish blue. I’ve already added Harlem Nocturne as an accent but I will do a full manicure, along with the Lull-a-Bye-Broadway (the prettiest rosé gold ever) and I’ll let you know what I think of those. I have a feeling I will love them just as much as Take the A Train. 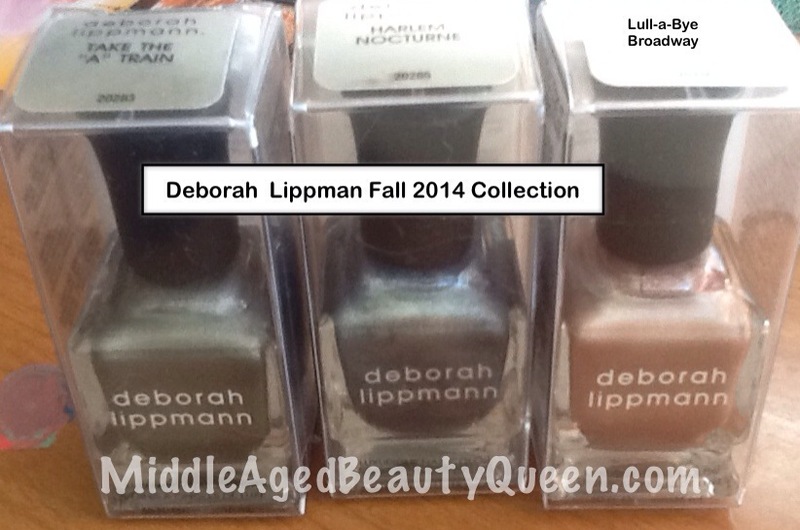 Final Thoughts: on the Deborah Lippmann New York Marquee Fall 2014 Collection is a win, is a win, is a win! You guys know me well enough that I’m not just saying that. 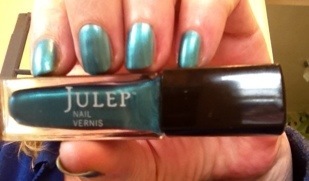 This formula is truly different from any other metallic formula I’ve tried. I’m sure you will like it and I hope you will give it a try. 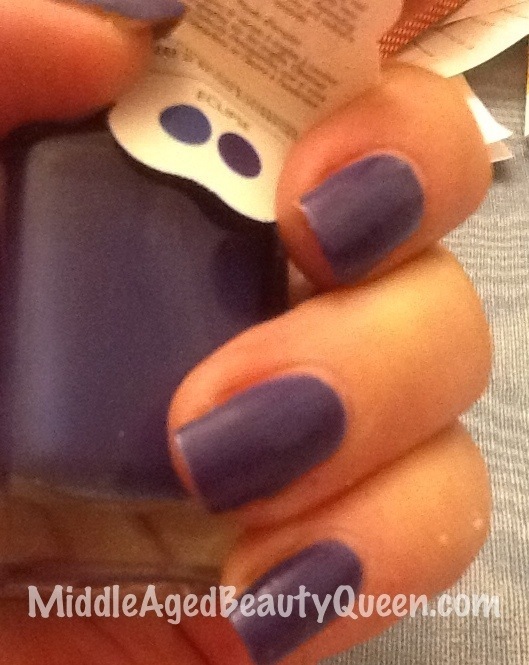 Deborah Lippmann can be found at Deborah Lippmann’s website and at Nordstrom and Sephora along with the usual sites like Amazon. Retail price is $20 but look for sales at Nordstrom’s and Sephora. I know it’s a lot of money but this particular collection is well worth it. Eclipse from Ruby Wing is color changing polish, the theory is the polish is one color outdoors and another color indoors. To tell the truth, I saw no difference either way. But it is still a pretty color so I’m not disappointed about the color change. 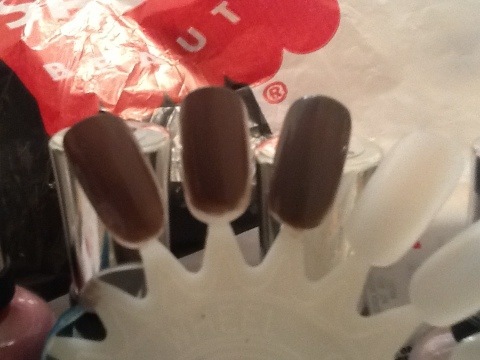 On the tag you can see the different colors you should be able to achieve with this polish. Both are pretty colors and I’d say mine has been on the lighter side all along, indoors or outdoors. I did have a hard time trying to order from the Ruby Wing website. They had sent me an email with promises of all the new fall colors. So I clicked because you all know I cannot pass up that kind of an offer, but the website just kept going to this one item. Not this one Eclipse but another set of 4, I actually put the set of 4 in my shopping cart thinking maybe then I could see their other items but no such luck. Ruby Wing is affiliated with Color Club and I’ve had similar issues with their website as well. I asked which stores their items are sold and I was told Ricky’s; select Bed, Bath & Beyond, and Sally’s . I’ve never heard of Ricky’s (if you have please let me know) and the only store on their list in my town was Sally’s but when I went there they didn’t have any. The clerk had never heard of them but he was about 12 with blue hair. (Slight exaggeration there). I did buy this polish and a Color Club from Nail Polish Canada and even though the shipping was way too much, I am happy with my purchase. They are a great web site to keep in mind when having website problems from companies. 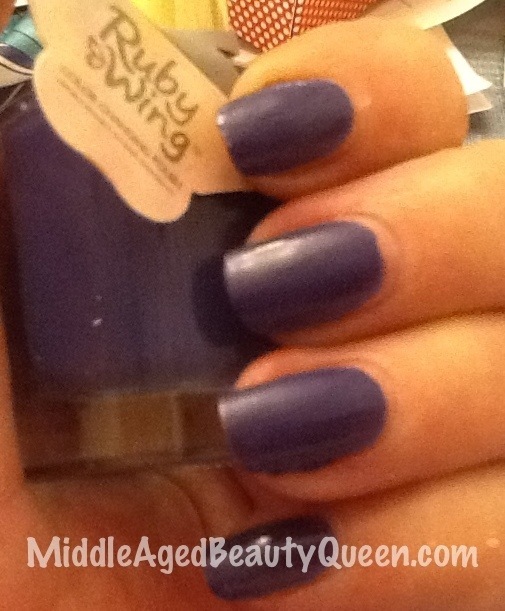 The formula for Ruby Wing Eclipse was perfect as was the brush and the bottle. 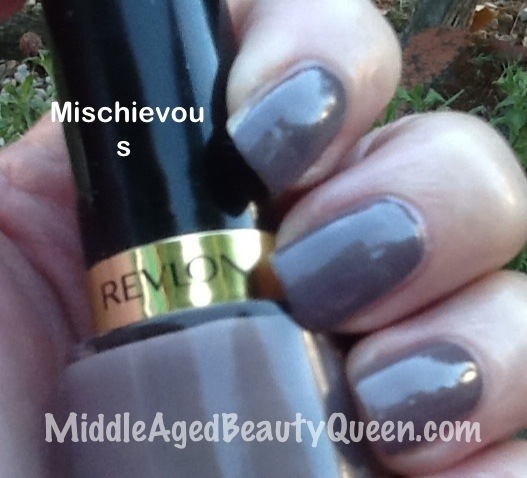 The brush picked up just the right amount of polish, I mention that because so often times you get either too much polish and then pools in your cuticles or not enough polish and you are constantly going back in for more. I think when a brush picks up just the right amount, a lot of thought went into what seems something so silly as a nail polish brush. And to me that shows the company cares about its product, just not being able to make sales on their website! 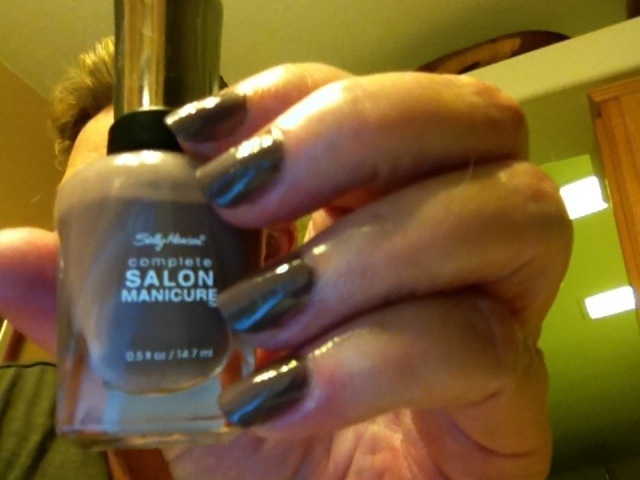 Go to Nail Polish Canada for great polish on all kinds of brands and shipping is free if you spend $25. I wish I would have known that I would have bought a few more things because I spent more than $25 with the high shipping cost. But next time I’ll know better. So, this is a post about Ruby Wing Eclipse but its kind of turned into a post about how great Nail Polish Canada is, and they are. Without them I would not have had the Ruby Wing to talk about. So I’ll stop now before I get in any deeper! 💅 As always, thanks for sopping by! My neighbors gorgeous dogwood tree, when the sun is shining it is simply stunning. I love looking at it while I drink my morning coffee and read emails. 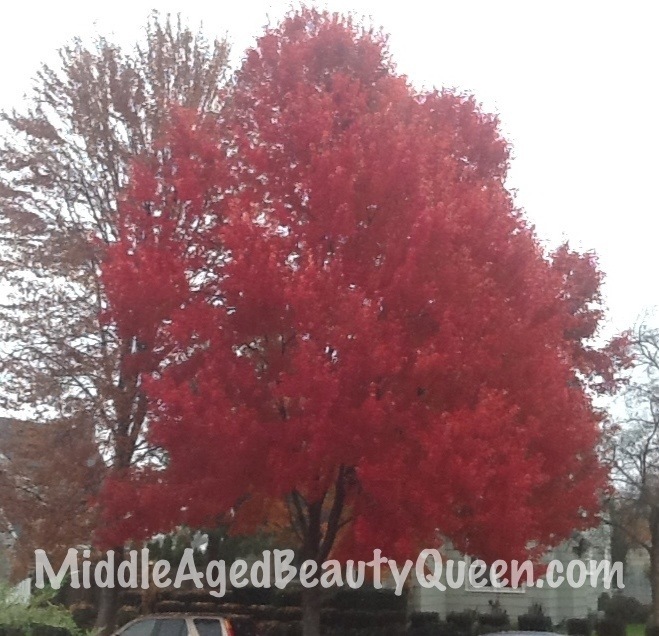 Next month I will be cussing those red leaves in my yard. No pleasing me! So go two times! Not really, just kidding! At the website you will fill out a style quiz, from that they determine which kind of ‘maven’ you are. You can be an American Beauty (me), BoHo Glam, Bombshell (Jilly), Classic with a Twist (mom), or It Girl (Ashley). 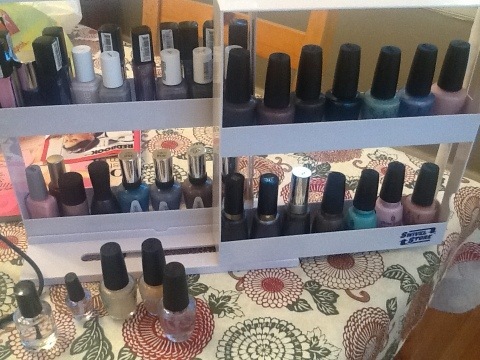 Then based upon that you get a box with 2 polishes, a hand cream and a couple of samples. All for $5, use the code INTRO. If you continue in the program it is $19.99 per month. 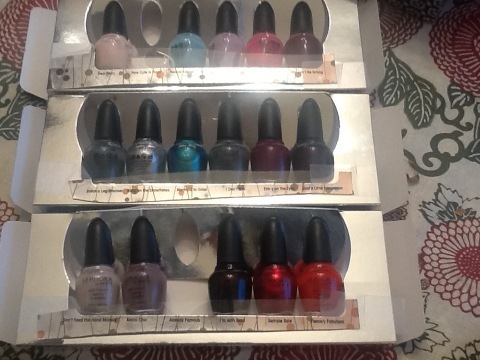 These polishes are what they call “4Free” meaning they are free of 4 of the worst chemicals used in polishes. 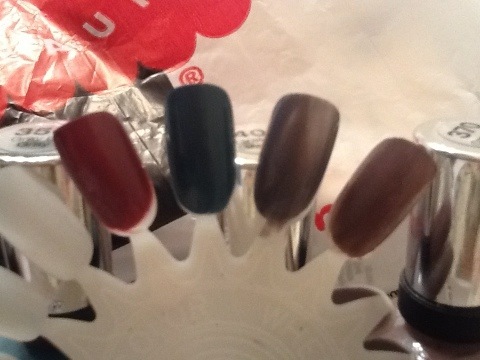 I don’t know what they are, but some polishes say they are “3Free” ( Butter London, Gosh, Barry M, and Debra Lippmann). This company also donates $1 from each maven box to a charity based in helping women’s causes. So they are a good company and they are from Seattle! Love that! Each month they will send you an email showing you what colors you will be getting. You can change to another box with different colors, skip a month, send to someone else or cancel. They are very easy to work with. If you do nothing then you will get a box with your maven type for that month. 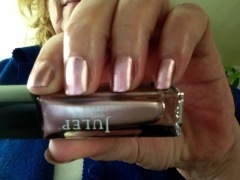 The It Girl maven is always just polish and you get 3 bottles of polish. 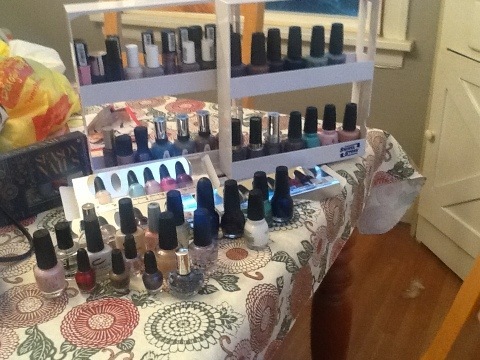 Each month there is another item besides the 2 polishes. The first box has a hand cream, the 2nd box I got had a cuticle oil. Some boxes got a hair finish spray. They have body scrubs, this month they are giving a bottle of Argan oil. 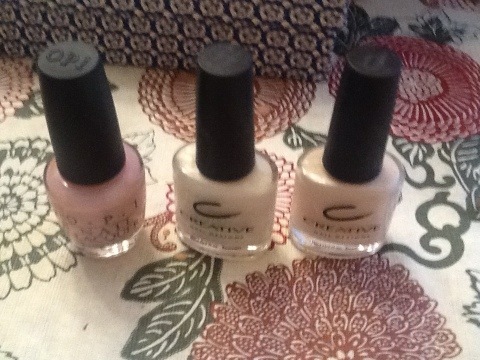 I have received 2 colors I did not like, one was pale yellow and the other a rusty red, but I think they will be great on my toes! If you are interested check the web for codes because they have offered it recently for one penny. I just google coupon codes, there are several sites that you can get the code for. Let me know what you think! Thanks so much.